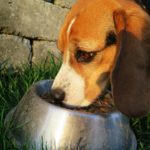 When it comes to buying dog food online, you need to make sure that you choose a reliable merchant which sells premium quality dog food at affordable prices. Not only that, there needs to be an expedited shipping option available in case it is an emergency and your dog needs to have their food supply replenished soon. With all of the e-commerce stores on the internet, it can be hard to decide which one to purchase dog food from. Below are the most popular websites on the internet for purchasing dog food. They all have their pros and cons to them but you will find they are far superior options than purchasing dog food at your local brick-and-mortar store at full retail prices. So what you have to do is compare the good qualities with the bad and then make your choice. Most people think of books and movies when they think of Amazon because that’s only what they used to sell in the beginning. 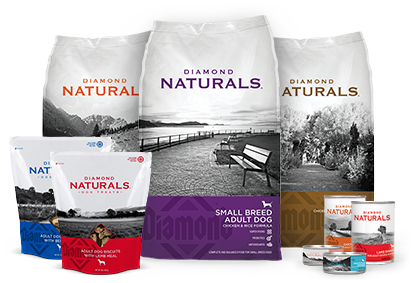 But over the years they have expanded their category selections and have allowed merchants to sell virtually all kinds of products, even dog food. In fact, Amazon has actually become the number one place for dog owners to purchase food for their pets. You’ll find all of the top dog food companies and brands listing their products on Amazon. This gives dog owners a lot of variety to choose from amongst the product listings. Now you may be thinking that buying dog food online must cost a lot in shipping. If you were to purchase economy-sized bags of dog food then you’ll still be looking at about $10 in shipping, even if the actual dog food product costs under $10. That of course defeats the purpose of saving money online buying dog food. Amazon does have a discount shipping program through their merchants where you can get free shipping if you purchase over $49 worth of qualified products. But this would force you to purchase $49 worth of dog food in one order which you may not want to do. Plus, this free shipping offer will make it so you have to wait weeks before you even receive your delivery. 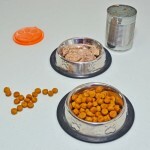 If you’ve got hungry dogs that need their food right away, you cannot afford to wait weeks for their food to arrive. That is why joining Amazon Prime would be beneficial to you in the long run. Amazon Prime is a special membership service available to current Amazon members. Prime allows its members to receive free deals on shipping, music streaming, movie streaming, photo storage, and more. You can become an Amazon Prime member and receive these benefits with no hidden catches. As a dog food buyer, one of the biggest benefits you’ll receive is free two-day shipping on all products fulfilled by Amazon. It doesn’t even matter how many products you order either. There is no $49 minimum requirement to get free shipping when you are an Amazon Prime member. In addition, this free shipping service will deliver your order within two business days rather than a few weeks like the basic free shipping offer. This will ensure your dog gets their food much faster after you order. When you go to browse for dog food on Amazon, just set the filter on the left-hand navigational bar to “Prime” listings only. This will make it so all of the dog food product listings that come up will have the free two-day shipping available with them. Then you can just purchase any of the dog food products you see in those listing results without ever having to worry about the shipping costs. Since dog food is something you constantly have to buy all of the time for your dog, you will be saving hundreds of dollars on shipping costs every year by joining Amazon Prime and purchasing your dog food through the Amazon Marketplace. Aside from the traditional Amazon listings, Prime members get special access to a store exclusively available to them called Prime Pantry. This is a store that sells everyday household products that are smaller in size such as dog food snacks. A huge benefit from Prime Pantry is that the prices of these products have bigger discounts than what they’re priced for in the regular Amazon store. However, you cannot use the free two-day shipping option with the Prime Pantry listings. The way it works is you have what is called a Pantry Box that you fill up with the products you want to purchase from the Pantry store. Every time you add a particular product to your shopping cart, it lets you know what percentage of the box has been filled up. The box gets filled based on volume of the product rather than its weight. You are allowed to have up to 45 pounds of weight in the box which is more than enough when purchasing smaller dog food products such as treats and snacks. Once you are done filling up the box and then proceed to the checkout, there will be a flat-fee shipping cost of $5.99 placed on the order. This will still be cost effective when purchasing smaller items that you are already getting a bigger discount on. Even though the normal Amazon store offers a free two-day shipping option, this is not available on all dog food products. That is why you have to filter those listings for “Prime” only. Sometimes you might not see the products you want to purchase under the Prime only listings. But with the Pantry Box, you’ll have a much wider variety of products to choose from with only one flat-rate shipping cost. 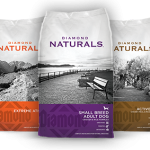 Just be prepared to purchase a bulk amount of dog food products because you want to get the most out of the $5.99 shipping cost. You probably wouldn’t think that eBay would be a good place to purchase dog food, but you can actually find some great deals on dog food products there if you know how to search through the listings properly. There are two kinds of dog food sellers on eBay. There are those who are just trying to get rid of extra dog food they have stored in their house and there are those who actually make a business out of selling dog food. The sellers who are not established dog food merchants will give you the greatest deals on their dog food. Just make sure these sellers have a reputation on eBay with at least a 99% positive feedback rating and over 100 positive reviews. That way, you can trust the seller to be honest about the information they are presenting in their listings. What you will want to pay attention to is the expiration date of the product and whether it is new or not. You won’t usually find sellers who are selling opened or used bags of dog food. Obviously, if the dog food products have been opened then you don’t even want to bother with them. Any dog food that is new, sealed, and has an expiration date of at least three months into the future is good enough. But you don’t want to just purchase one bag of dog food at a time because the shipping costs will be extensive. Unlike Amazon, there are no special memberships on eBay that will give you free shipping on smaller products like dog food. The only time you will get free shipping is if the individual merchants selling these products offer it in their listings. But even then, they usually add the true shipping costs into the main price of the product in order to give buyers the illusion of free shipping. Therefore, the best way to strike good deals with dog food on eBay is if you purchase these products in bulk. Start your dog online dog food search by either typing in just “dog food” into the eBay search box or put the brand name of a particular company along with “dog food” afterward. Once the search results come up, click on the “Pet Supplies” category and then click on the “Wholesale Lots” subcategory. This will bring up listings in which the sellers are selling multiple dog food products in one listing or they are selling large bags of dog food at wholesale prices. These will be your best options for buying dog food on eBay. If you are someone who feels more comfortable purchasing dog food directly from the company that supplies it, then try visiting their websites and establishing accounts with them. For example, Purina is a popular dry dog food brand (though we do not suggest it) and they have a store at www.purinastore.com where you can purchase dog food directly from them. You may not get the best deals purchasing dog food this way, but you will get customer support and verified reviews on these products. These are two things you can’t get on Amazon. The customer support on Amazon doesn’t involve answering questions about the specific product you are purchasing. They’ll only help address questions about the order itself. As for their reviews, not all of the reviews you see on Amazon are verified reviews. Anyone can click the “Add a Review” button and enter in comments which may or may not be true. But when you see the reviews on the actual company websites for these products, they are much more trustworthy and reliable. Therefore, the decision of where buying dog food online really comes down to what aspects you care most about such as cost, reviews, customer support, shipping costs or shipping speed.